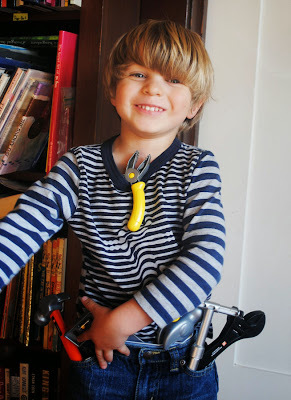 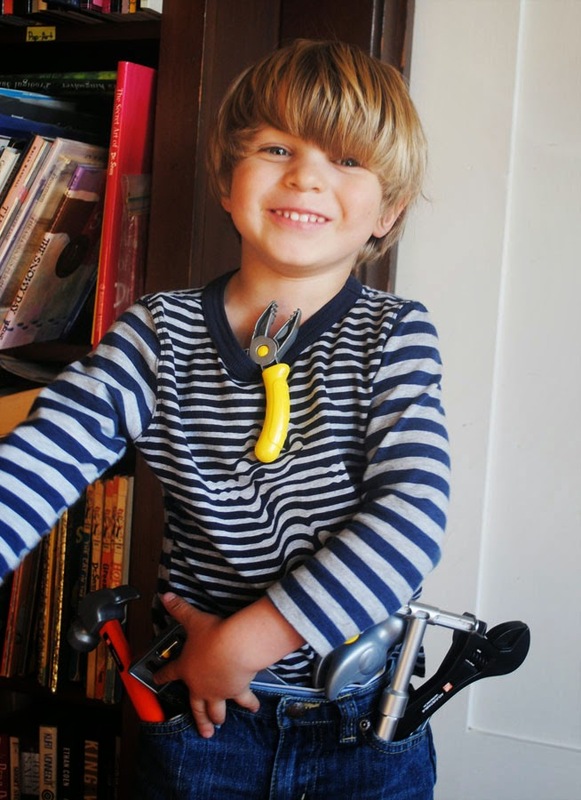 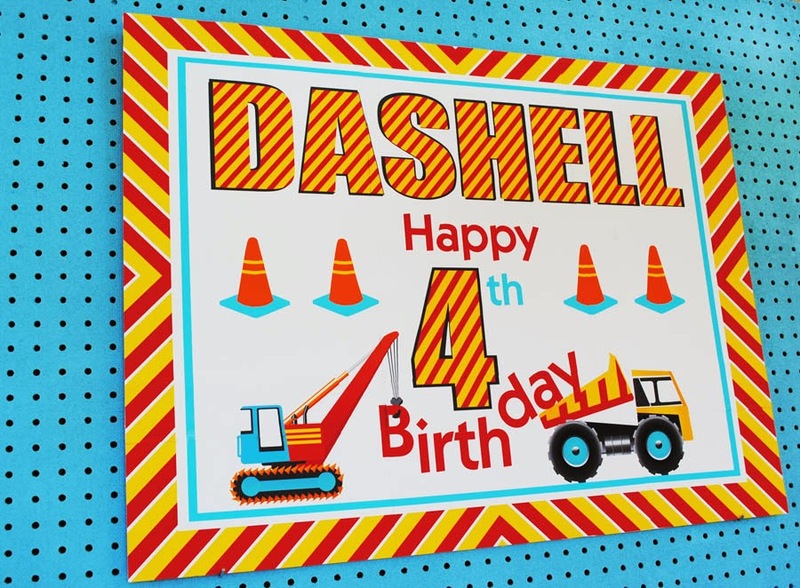 When my son Dashell was closing in on 4, he came out of his room one day adorned with all of his toy tools and declared that he would like a Construction Party! 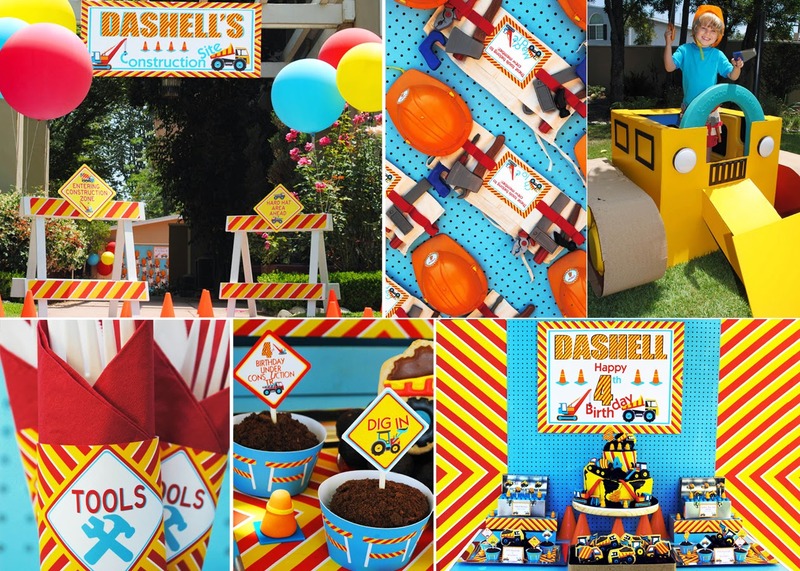 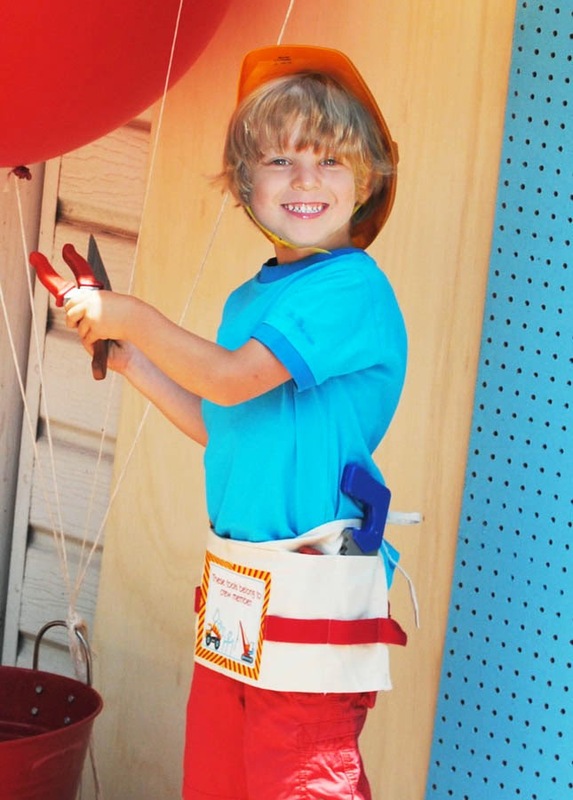 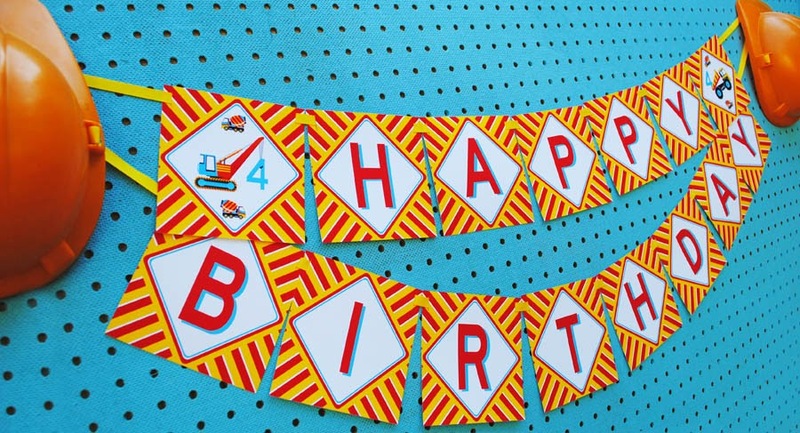 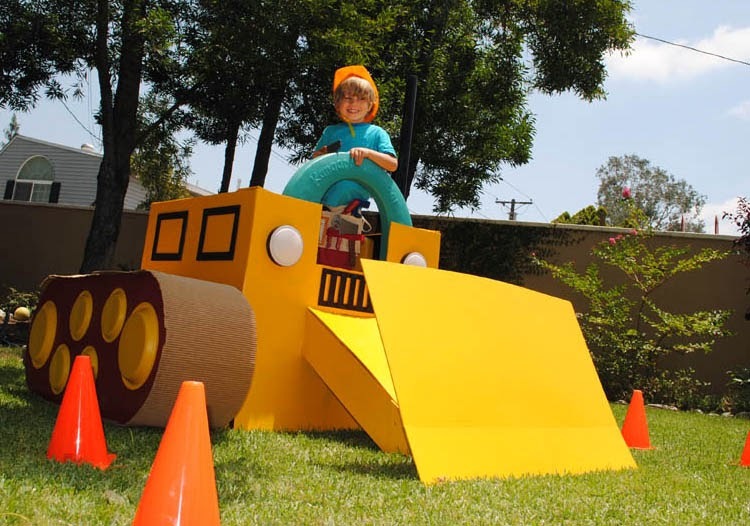 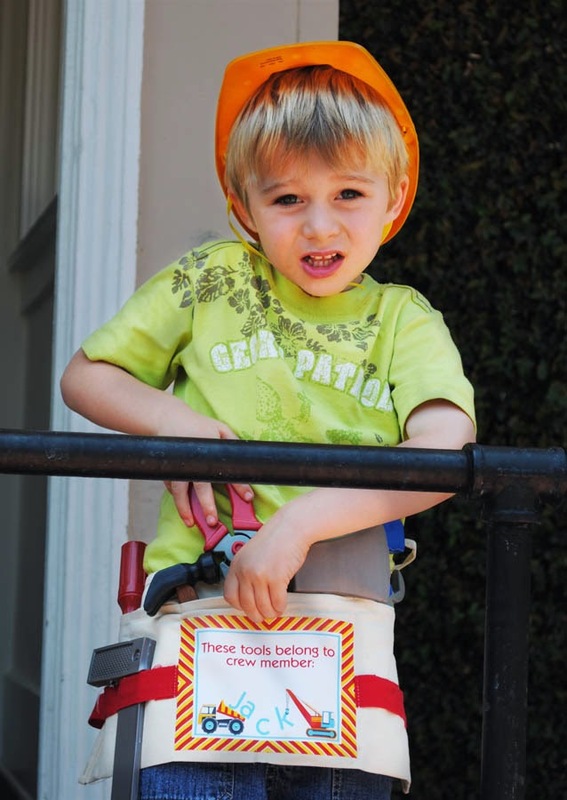 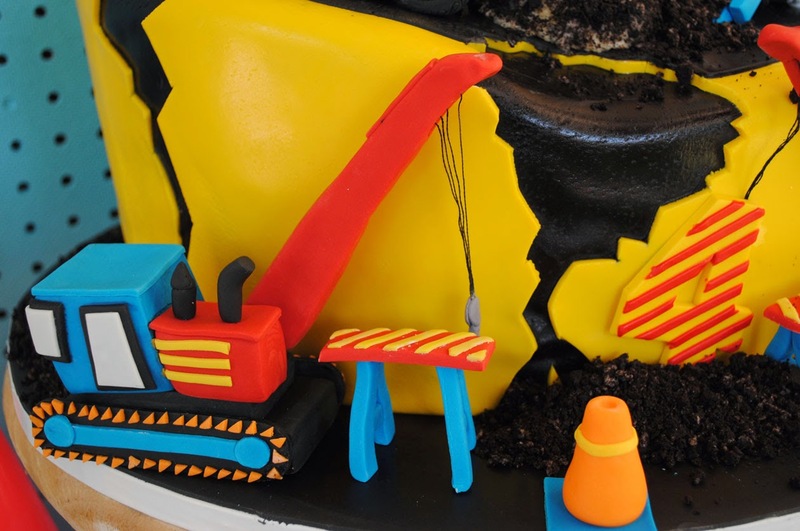 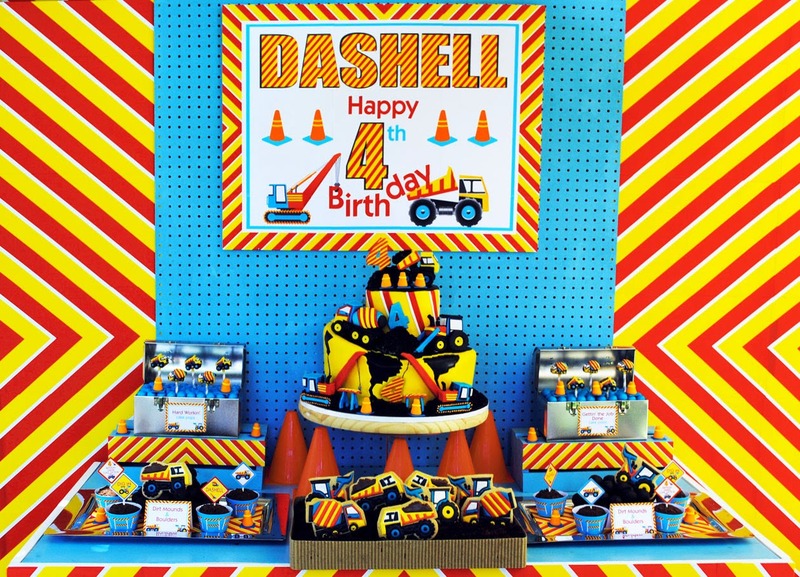 This was the first time that he had ever had a strong opinion about his birthday party theme and so I was thrilled to be able to embrace his enthusiasm for all things tools and construction and help bring his dream to life. 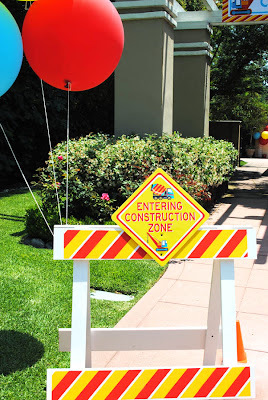 Over here we are big on making sure that our guests are swept up in the magic of our theme the moment they arrive. 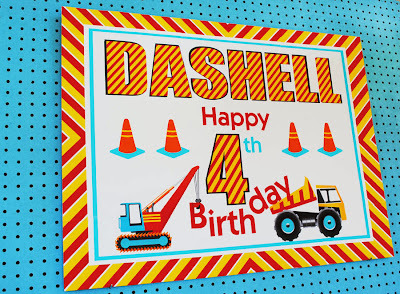 For this party, I created giant sign declaring the space "Dashell's Construction Site" and hung it at the entrance to the party. ...and "Hard Hat Area Ahead". 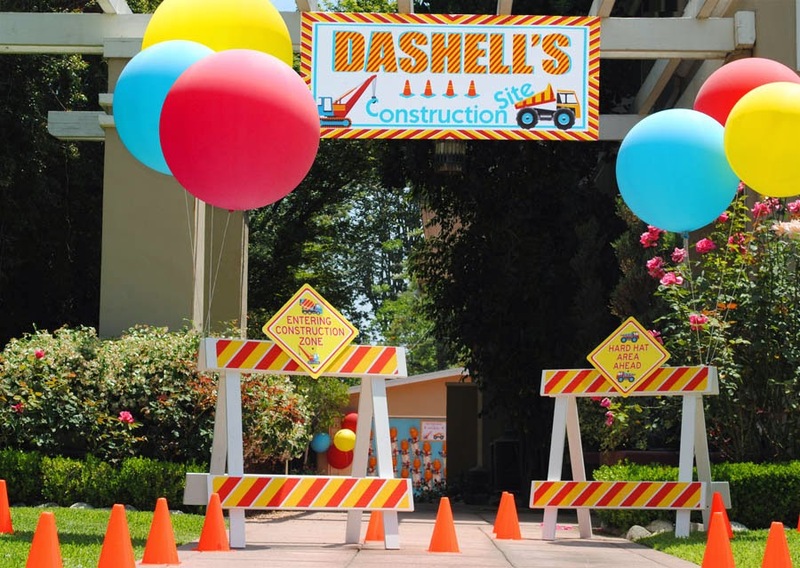 And Dashell had a blast decorating the driveway with tons of construction cones! 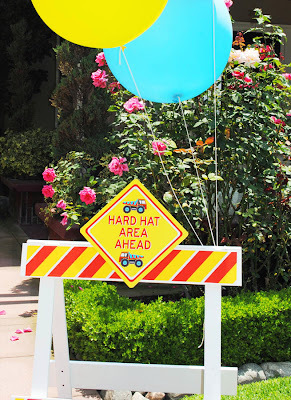 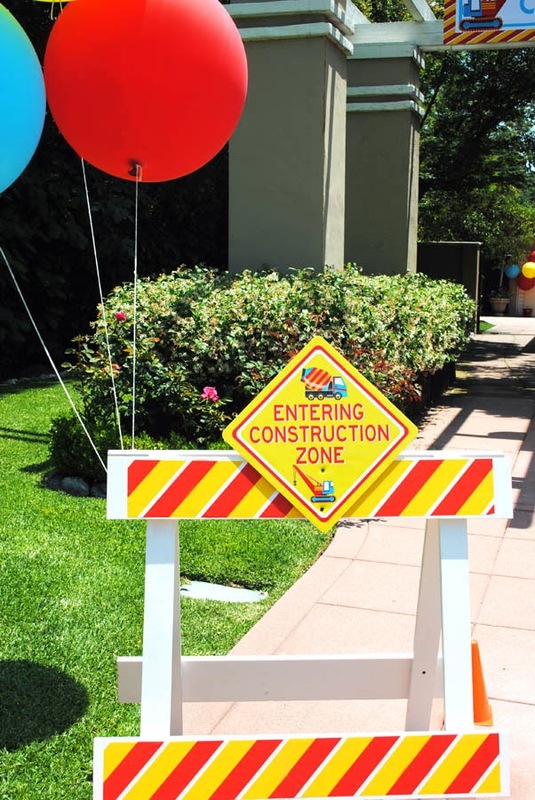 The sign at the entrance, "Hard Hat Area Ahead", gave the guests a small hint as to what was to come next. 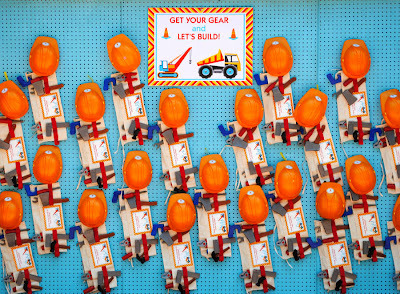 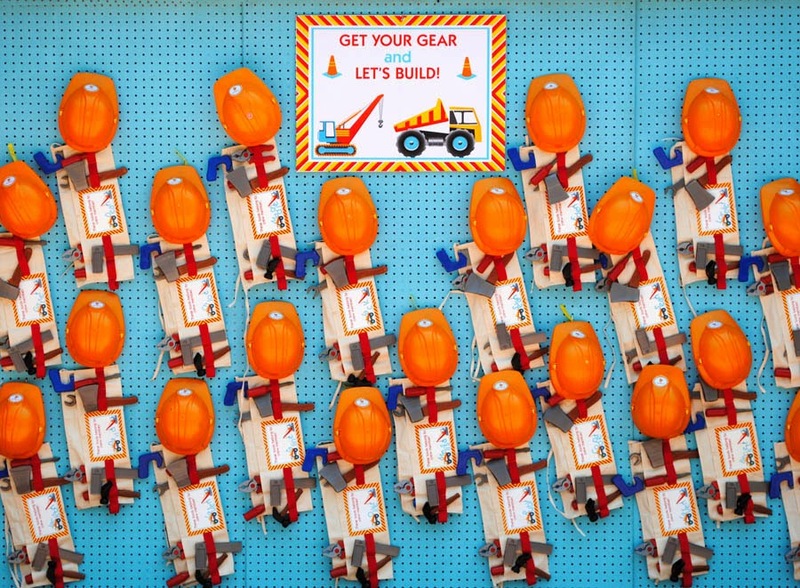 As they drew nearer to the party, they were met with a large sign "Grab Your Gear and Let's Build" which was hanging over rows and rows of personalized tools belts and toy hard hats decorated with party circle stickers stating that they were about to be part of "Crew 4". 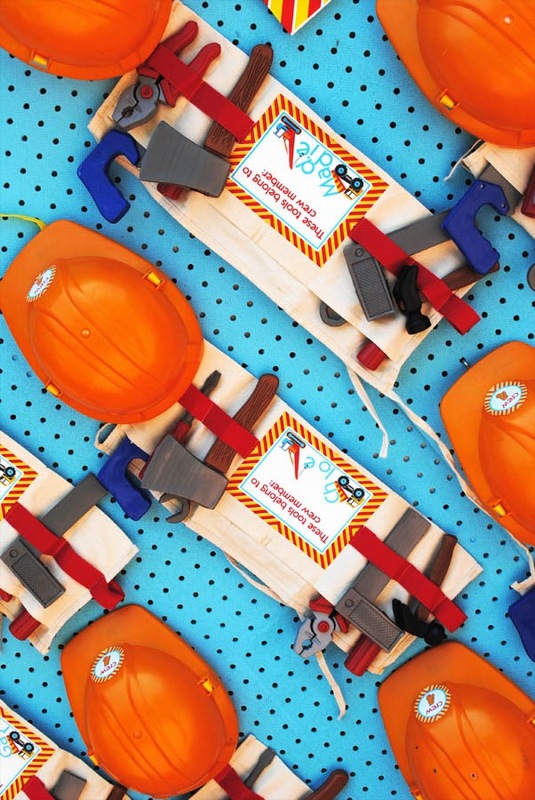 Each little guest was thrilled to put on their very own construction gear emblazoned with their name and packed with toy tools! they were face to face with the "Dig Zone"! 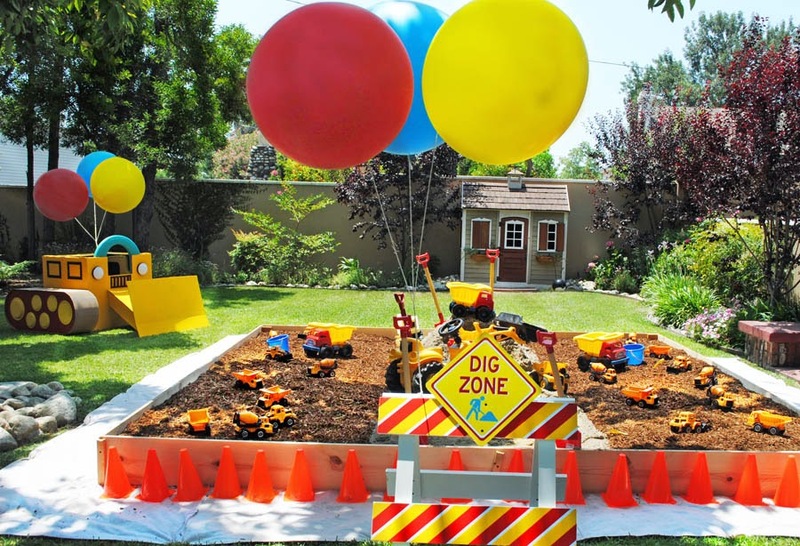 A huge box we constructed and filled with sand, wood chips, tons of shovels and construction vehicles. 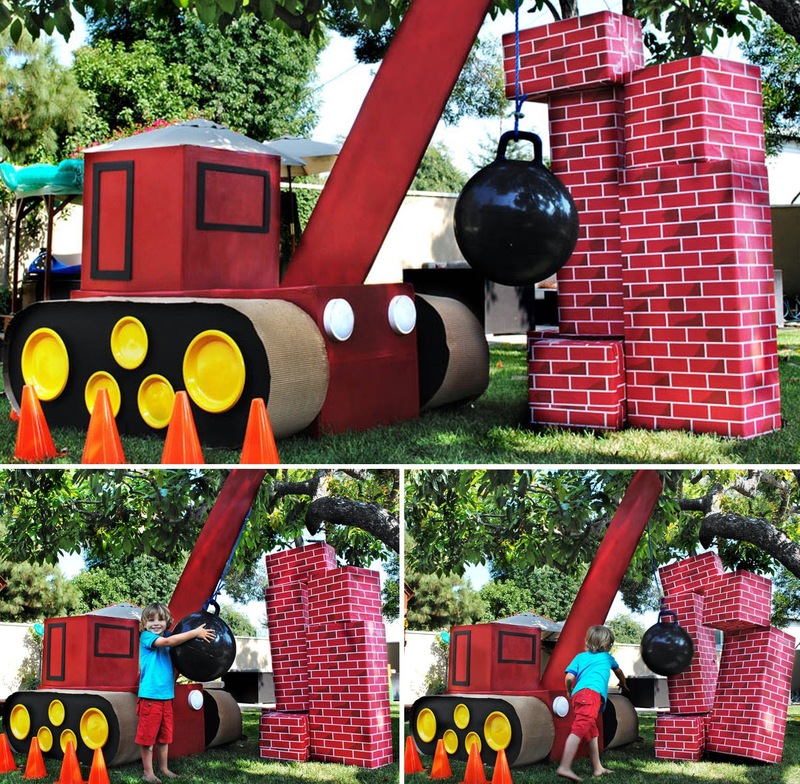 The kids loved it! 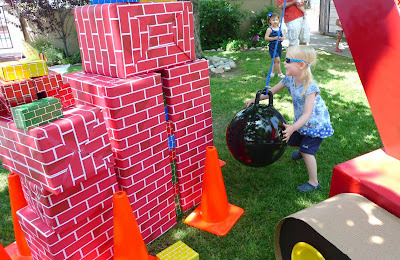 ...as well as a cardboard wrecking ball which ended up being the hit of the party! I wrapped large empty boxes in seamless paper with brick wall detailing and then Dashell brought out all of our cardboard blocks and the kids simply could not build and wreck enough "walls"! And just in case any of our little workers needed to take a "break", I made sure to continue our construction theme inside as well! 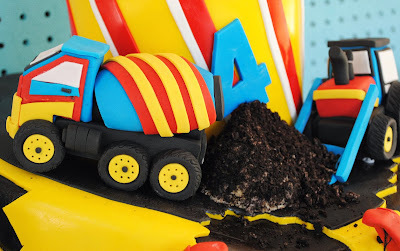 Every party needs a dessert table to help capture the magic of the theme. 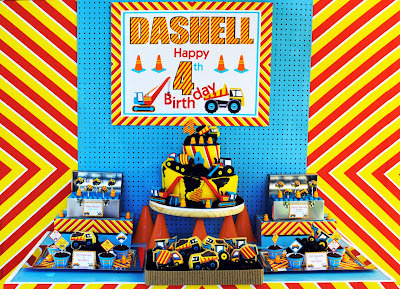 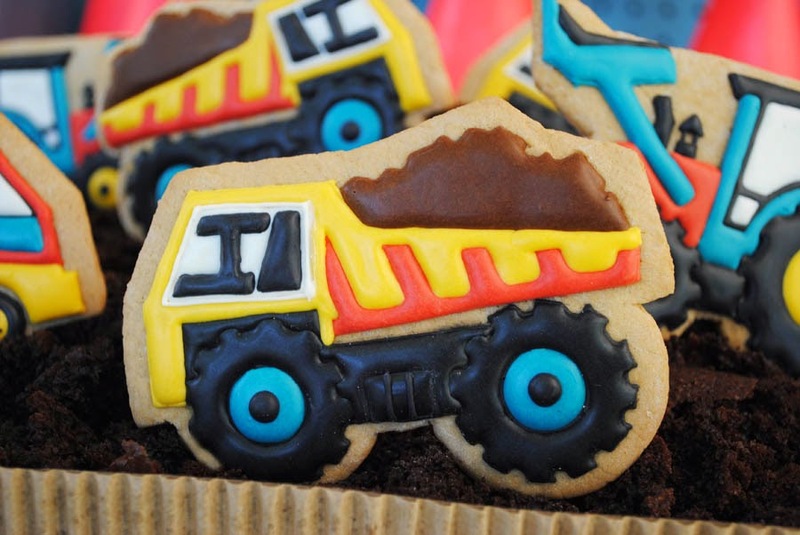 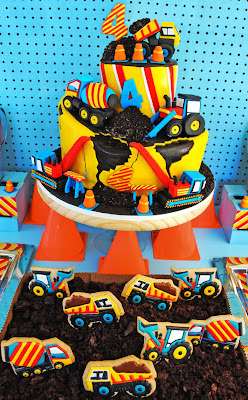 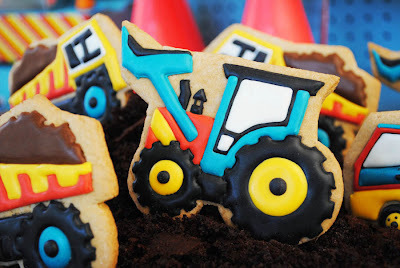 For Dashell's construction party, I baked a chocolate sheet cake and then crumbled it up and arranged all the beautiful construction vehicle cookies (masterfully created by Angela at Oh Sugar! 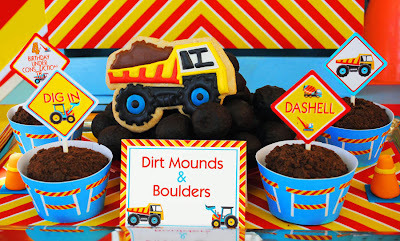 Events based on my designs) to look as through they were really going to town on a mound of dirt! 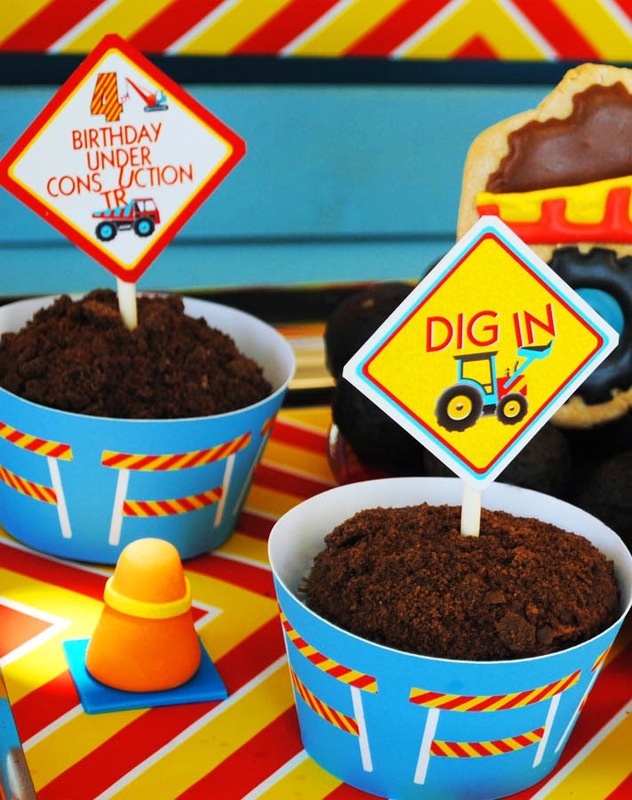 For the cupcakes, I crushed up a chocolate cookies and rolled the chocolate icing that topped the cupcakes in the cookie crumbs to make them look like dirt mounds and then decorated each one with a fun cupcake topper and construction themed cupcake wrapper. I then arranged all of them around a pile chocolate doughnut hole "boulders" and placed one the vehicle cookies on top to complete the feeling of an actual construction site. 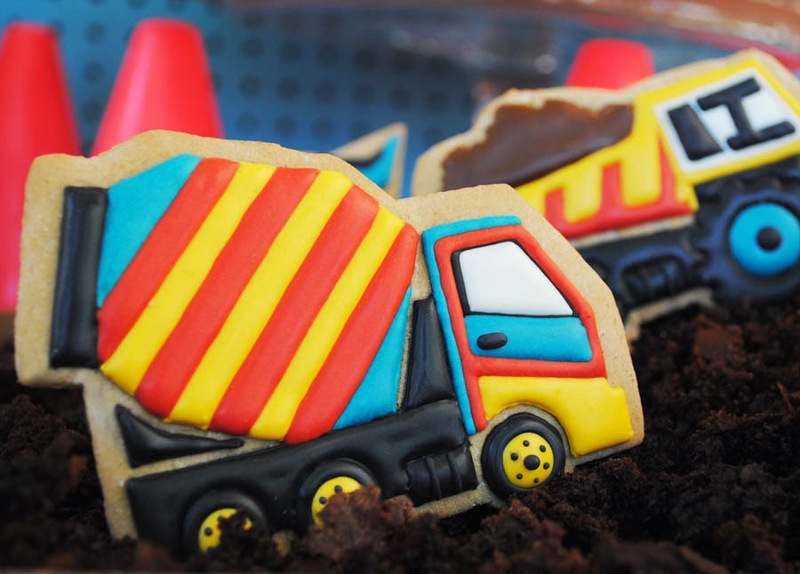 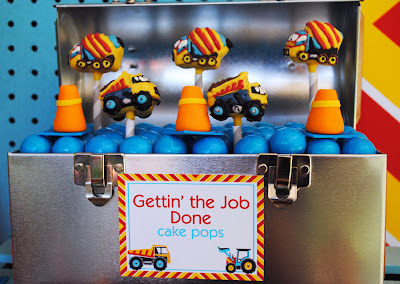 The perfect miniature cement truck and dump truck cake pops, created by Entirely Sweet, were displayed in aluminum lunch pails and their arrangement was punctuated by adorable fondant construction cones, made by Brittany at Edible Details. The center piece of the table was a two tier cake that I designed, and was beautifully executed by A Sweet Design. 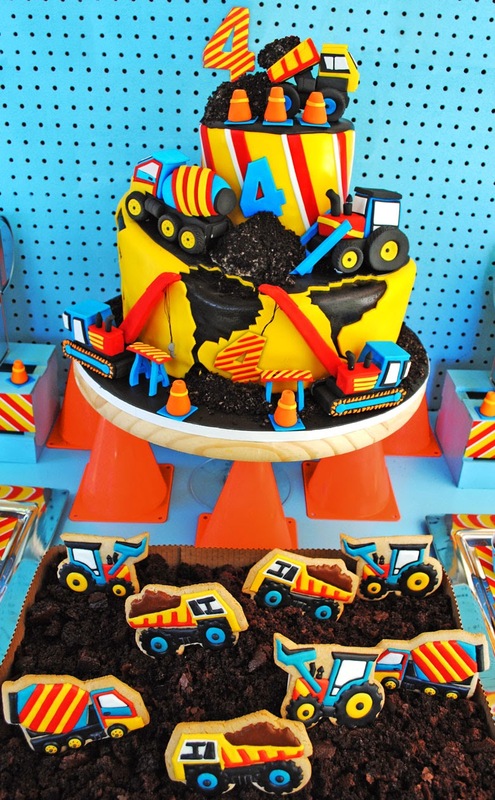 Cranes lifting giant number 4's, dump trucks spilling their loads and bulldozers digging were all part of this cake "under construction". Each one of the vehicles was painstakingly hand sculpted by Brittany of Edible Details and Dashell (as well as all the children) couldn't have been more entranced! 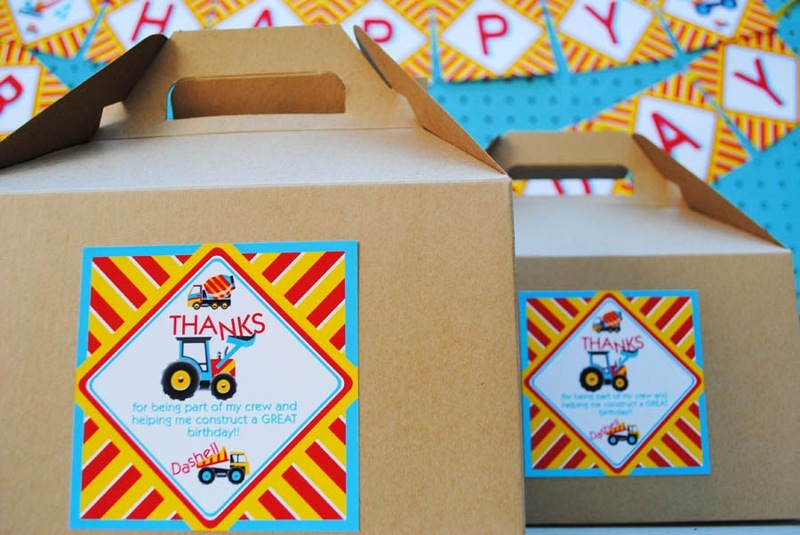 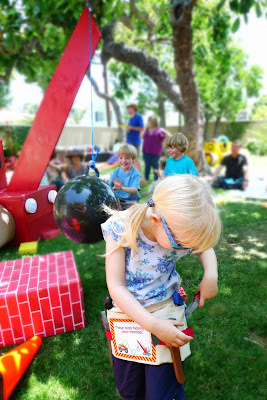 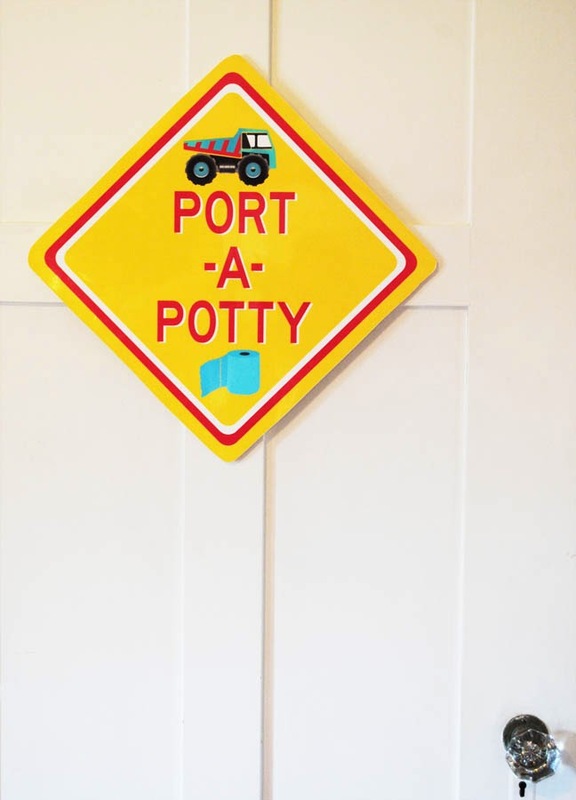 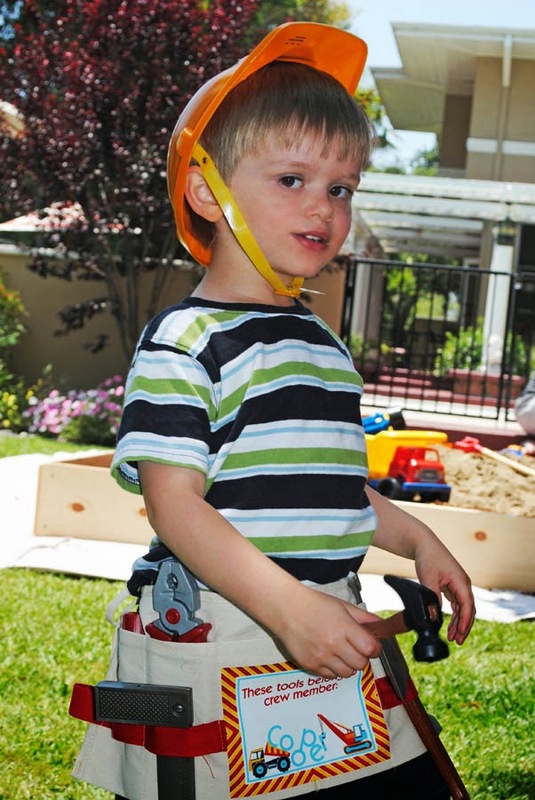 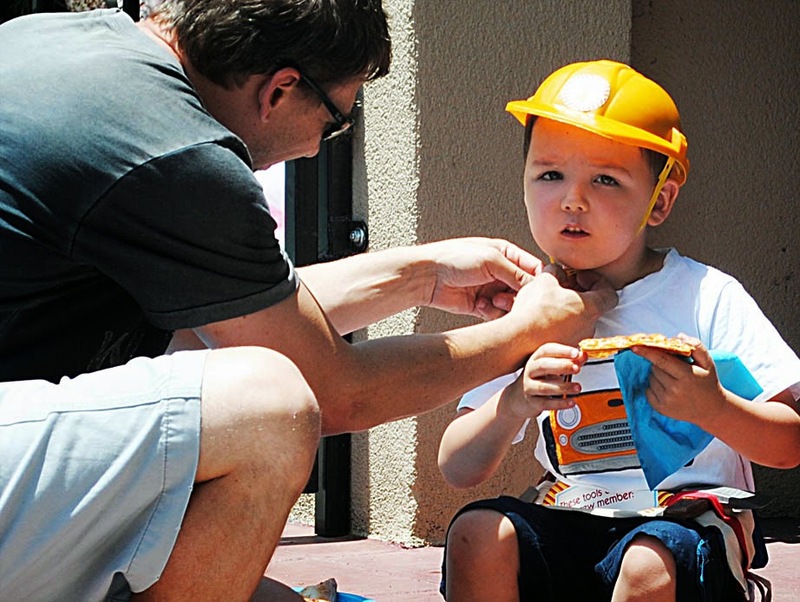 When the time for the party to end drew near, each child left with their personalized tool belt packed with toy tools, their own hard hat and a fun construction themed puzzle. 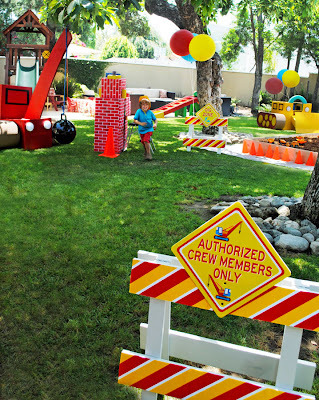 And, of course, so many fun memories! 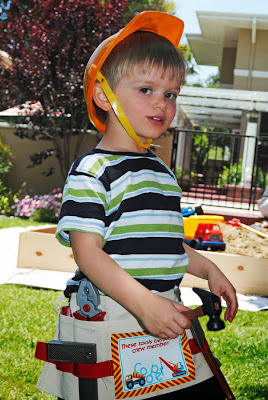 I still have parents come up to me (of both boys and girls) and tell me that their child continues to enjoy putting on their tools belt fixing everything around the house. 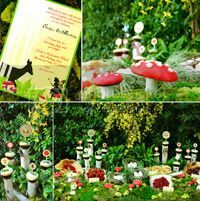 It's those kind of stories that remind me that when we design these parties we are helping to create a little bit of the magic that is part of childhood. 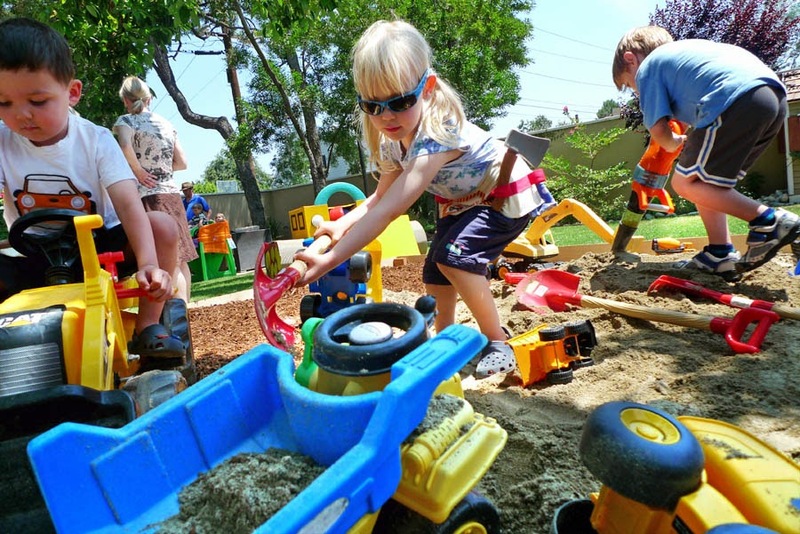 Construction of green roof tops is growth trend in North American Region and Europe, where the residential blocks are adopting this unique idea. 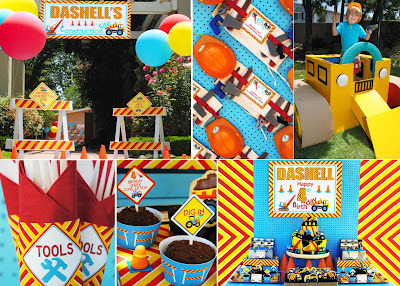 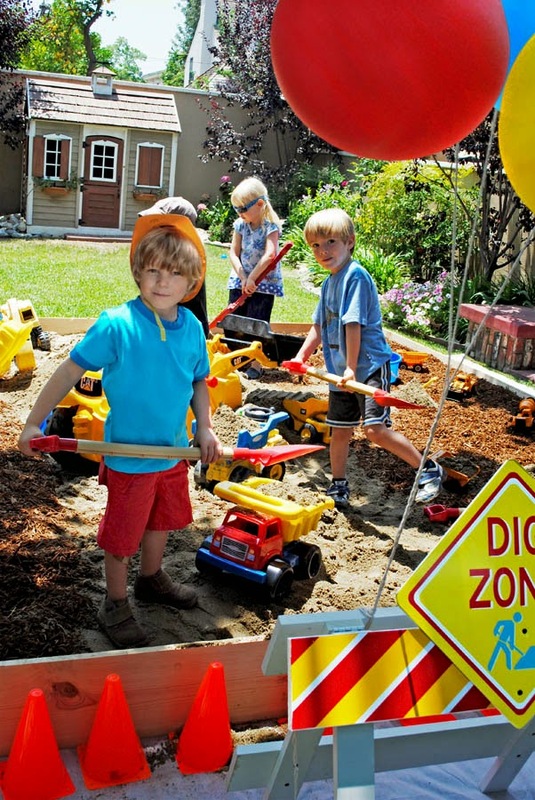 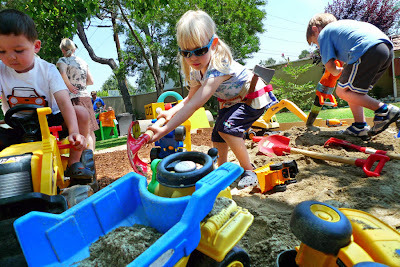 My name is Stella and I saw your son's Construction Party on the HWTM website and I fell completely in love with all the details and especially with the outdoor decorations. Congratulations for your fabulous work! I am planning my son Lucas’s second birthday party on September 20th and the theme we chose is Trains. 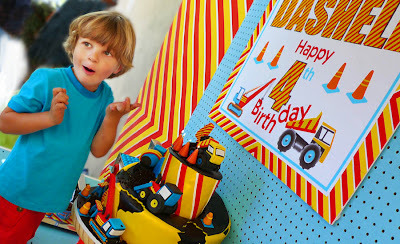 He is fascinated by "choo choo". I love the idea of having a magical party for my son and I would love to know if you could design and execute parties in areas like Houston - TX? 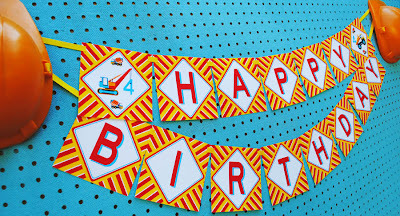 I hope you do! 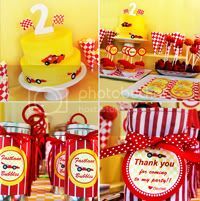 Awesome party! 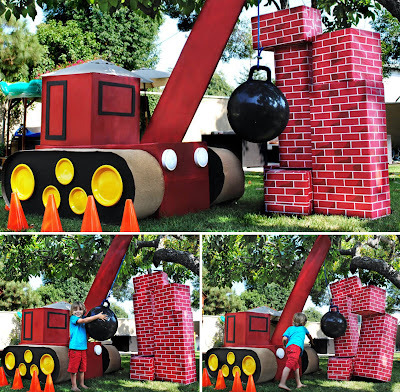 I am wanting to recreate your crane/wrecking ball. 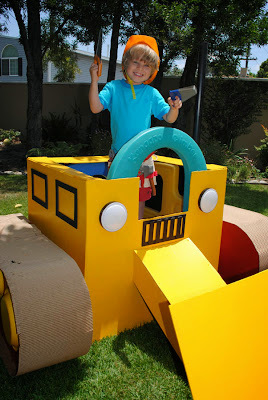 Do you have any tips, tutorials or photos of the project under construction? Thanks so much!! 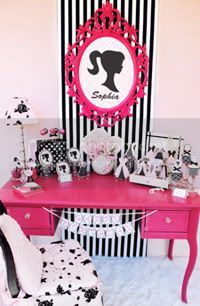 Hallo i love that theme... my son love conatruction.. where can i find that cupcake wrapper ? ?